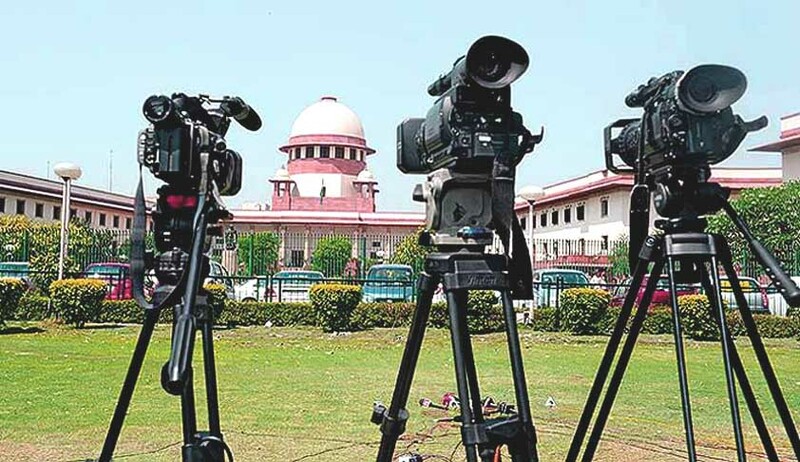 The Supreme Court has declined interference in the petition filed by Kerala Union of Working Journalists for opening the media room in the High Court of Kerala, which was shut following the clash between lawyers and media personss during July 2016. According to lawyers, the issue started when an incorrect report appeared in a newspaper regarding the proceedings of the association, which had passed a unanimous resolution condemning police atrocity on a lawyer. A national daily had reported that the said meeting was deferred due to the difference of opinion. When this wrong reporting was pointed out to the concerned, it was stated that certain media persons with no accreditation allegedly used abusive language. This led to a scuffle between lawyers and the said persons. When the situation escalated, the Registrar of the High Court ordered the closure of media room. The KUWJ filed the petition in Supreme Court contending that the situation in High Court was hostile against media-persons and that the closure of media-room had affected their smooth and efficient funcitoning. On Monday, when the matter was taken up by a bench of Justice A. M Sapre and Justice U.U Lalit, Advocate Haris Beeran submitted on behalf of the Kerala High Court Advocates Association (KHCAA), which had intervened in the matter, that similar petitions with identical reliefs were considered by the Full Bench of the High Court, and was referred to Constitution Bench. During May 2018, the Full Bench of the High Court had referred to Constitution Bench the issue regarding framing of guidelines for court-reporting. The Supreme Court observed that no purpose will be served by keeping the writ petition pending at SC, and observed that the KUWJ has to ventilate its grievances before the High Court.